SOLID dashboards collect all of your key business metrics and displays them in real-time interactive graphs. Drill down into each metric to gain a better understanding of your business’s performance, identifying which processes and departments are successful and which are bottlenecks. Choose what information is displayed and how it’s displayed. It’s your information after all. Select your graph types, zoom levels and projections. Then, alter the layout to suit your preferences. Each graph is a visualisation of the real-time data behind it. 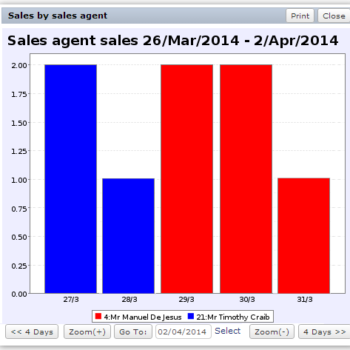 Expand a graph and click on a data point to drill down into the detail behind the numbers. Easily identify trends and track performance. Information from every area of your business is available, giving you a truly global view. 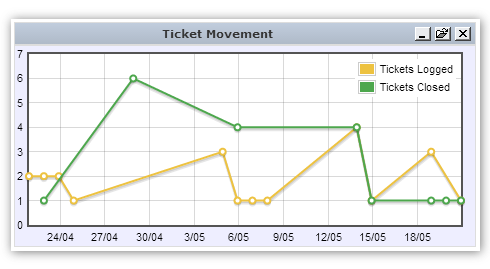 Track sales performance, contracts, churn and support tickets from a single view. Track revenue and the effects of marketing promotions, and also identify trends by reviewing current and historical sales performance. Know who your customers are and understand how they are behaving with key information around account status, number of contracts and churn. Customer Account Status: Understand the makeup of your customer database. 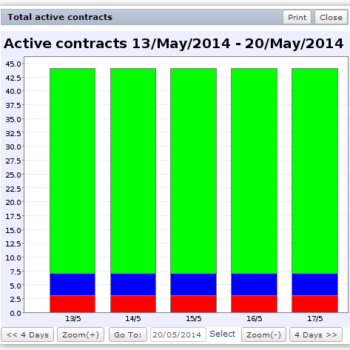 Total Active Contracts: See how many active contracts are associated with your customer base. Contract Churn: Quickly review your churn on a contract level. Ensure consistently high levels of customer service by being fully aware of how many support tickets are open, what they are for and what their resolution times are. Use the information to aid in resource allocation or customer product or service information campaigns.